We found 5 episodes of Ask Noah Show with the tag “apple”. Red Hat has released the beta for RHEL 8 and it features an exciting new technology called Application Stream. Apple is being sued and SCOTUS will decide if their app store is a monopoly or not. Episode 92: Linus is Back! This week Noah is a guest speaker at the UND teaching the next generation about podcasting. Episode 58: Has Apple Given Up on The Macbook? 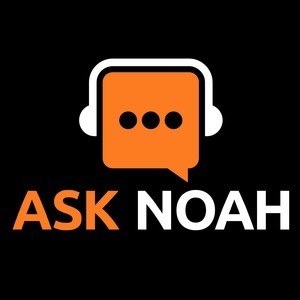 This week on the Ask Noah Show we ask the question everyone is asking - has Apple given up on the Macbook? Episode 49: Taking Tech Too Far? This week on The Ask Noah Show we ask the question "how far is too far?". Some people are putting bluetooth speakers in their house, others are injecting bluetooth devices into their bodies. We break it down for you, plus your calls, all in this week’s episode!